I work with accountants every day. It’s all we do at PANALITIX – helping accountants make a difference with their clients. I have been privileged to work with the team from ATB Chartered Accountants for the past couple of years and I’m delighted to have been invited to write a guest post for the ATB Chartered Accountants blog. 1. What is my breakeven point? This refers to the level of sales required to fully cover general business overhead and as such, it is the point where you start to move into profit. Depending on your business, you might break this down to monthly breakeven, or even weekly or daily. It is not as simple as it might seem, since some costs vary with sales volume, whereas others are fixed. The team at ATB Chartered Accountants will be able to analyse your cost structure and let you know the level of sales required to break even. Depending on your business, if your average transaction value is predictable, you will even be able to break this down further into units required to be sold. If you don’t know these numbers, be sure to ask your accountant to do some work on it for you. 2. What drives my revenue? There could be a variety of strategies to look at here. Let me pick on one for the benefit of this discussion – pricing. It’s my experience that too many businesses have very little knowledge about the impact of pricing on their sales. Many businesses offer discounts to people who don’t even ask for them, for example. On the other side of the coin, business owners make assumptions about increasing prices that often lead to them leaving money on the table. Ask your accountant – at my level of gross profit margin, if I increase my prices by 20%, how many of my customers could I afford to lose before I am any worse off? The number might surprise you – and help you with your pricing strategy. 3. Are my financial results good, bad or indifferent? The team at ATB Chartered Accountants have a process to take you through an analysis of your financial performance each year, pointing out key ratios such as gross profit percentage, days locked up in receivables and inventory and others. But the question to ask is, is that good, bad or somewhere in the middle? Who knows, for example, if a gross profit of 42% is where you should be? Ask your accountant what the trends are like – is the number increasing or declining, or steady? And depending on the response, what is the accountant’s insight as to why that might be happening. Equally as importantly, ask about benchmark data. Comparative data by industry is becoming more readily available. For example, in Australia the ATO provides key benchmarks on its website for a variety of industries. The ATB team can easily access these and compare your business to the ‘norm.’ You can then have a quality discussion with your accountant about what action you might take to fix your weaknesses and, more importantly, build on your strengths. As you would expect, ATB Chartered Accountants work with many business clients. Some are very successful; some doing OK; others, of course, struggling. So why not ask your accountant what their observations are on what their top 10 clients are doing to make them successful? It is a great question to ask, and if you pick up just one idea that you could implement in your business to improve your results or take you to still another level, it is worthwhile. The accountant is cited in all of the surveys as the most trusted business advisor. Make sure you are making the most of the relationship you have with ATB Chartered Accountants. I often tell accountants that they should ask more questions. Here, I am encouraging business owners to do the same. It’s my hope that a double pronged approach will have a dramatic impact, not just on your business but on the business economy as a whole. 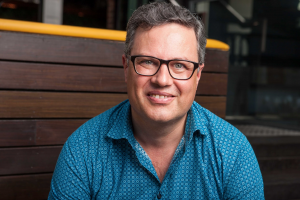 Colin Dunn is a Director of PANALITIX Pty Ltd. PANALITIX is business advisory software that enables accountants to become the trusted advisor for their business clients by providing real time assistance. Colin is a Chartered Accountant with 27 years’ experience in working with both business owners and accounting firms.